Remove front door mirror. 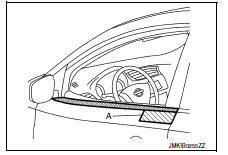 Refer to MIR-18, "DOOR MIRROR ASSEMBLY : Removal and Installation". Remove front door outside molding screw (A). 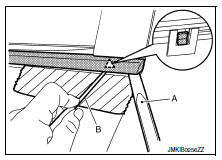 Apply protective tape (A) to protect the component from damage. 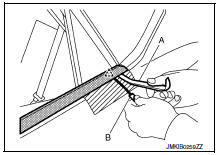 Release rear end of front door outside molding clip using suitable tools (A,B). 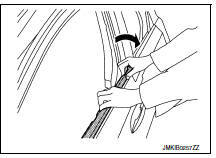 Rotate and lift as shown to remove the front door outside molding. 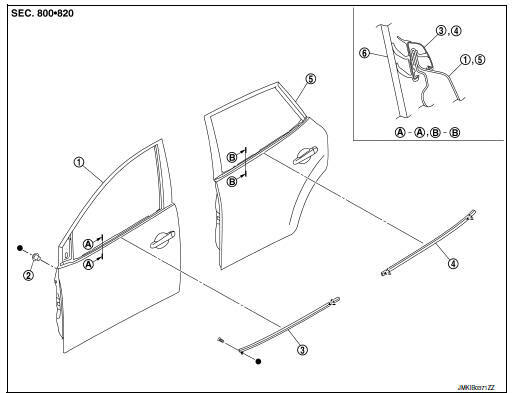 Release clip of rear door outside molding front and rear end, using suitable tools (A, B). 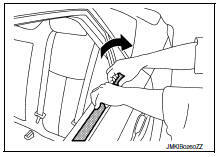 Use care when lifting rear door outside molding to prevent damage. 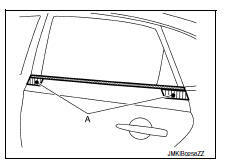 Rotate and lift as shown to remove the rear door outside molding.